Readers sound off: What does Trump’s election mean, how will it impact country? Readers and political writers didn't waste any time examining last night's presidential election. The bruising 2016 presidential election is decided. That doesn’t mean it is going away. This election is going to be dissected, celebrated and agonized over for months, if not years, to come: A study in how elections are won and lost. A tough look at polling and how it was so detached from voters and the final results. And how will this election change America. Political writers, pundits and commenters have begun weighing in. Here are some early takes on Tuesday night’s results. Will Drabold at Mic has a good look at the numbers that show the deep divisions in America that put Donald Trump into the White House. “For months, surveys, interviews and anecdotes told America’s leaders that the electorate was angry. A seething, at times ugly, frustration with the political system drove Sen. Bernie Sanders to nearly conquer the Democratic presidential nomination. And of course, these feelings helped the next president,” Drabold wrote. Commenters on The Seattle Times’ Facebook page and on election articles have been arriving fast and furiously. Trump supporters are chalking the results up to a refutation of eight years of President Obama. The back and forth on Danny Westneat’s column off of last night’s election is representative of the discussion in the comments section. “WhatInTheWorldIsThis,” responded, “Yeah, and Dems don’t grow richer and richer too?! Grow up and deal with it btw, it doesn’t matter who is President. The middle class will continue to get pushed down out of existence. The question is what now? 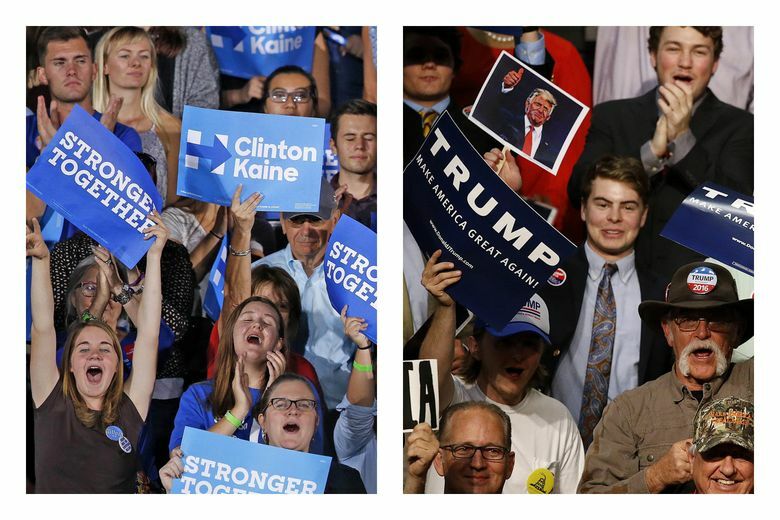 How did this election change American politics and society? Let me know how it impacts you and what it means in your lives moving forward. Send your thoughts to rblethen@seattletimes.com or leave a comment below.